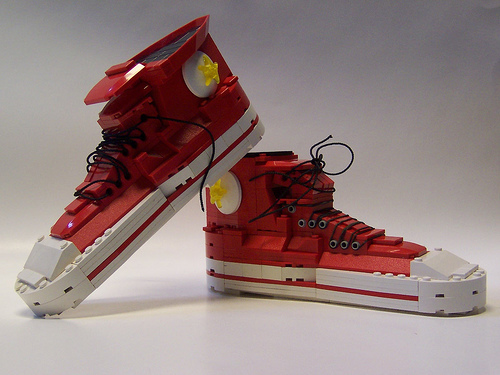 This great pair of Chuck Taylor All-Stars, by Matt Armstrong, reminded me of that. Excellent work, very life-like, and some creative use of pieces. But nevertheless they’re really great. I also wear these red ones.